The Charge d’affaires a.i. 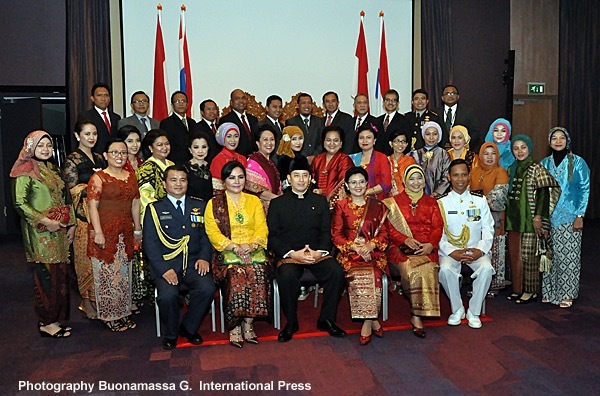 of the Embassy of the Republic of Indonesia to the Kingdom of the Netherlands, Mr. Ibnu Wahyutomo hosted a diplomatic reception to commemorate the 70th anniversary of the Independence of the Republic of Indonesia held at the Hilton Hotel Den Haag on Wednesday evening, 26 August 2015. As many as 500 guests (from the diplomatic corps, Dutch officials, business people, academics, friends of Indonesia, and other distinguished guests) attended the reception. Dutch Minister for Foreign Affairs, HE Bert Koenders acted as the Guest of Honour of the reception. Other distinguished guests included former Dutch Minister for Foreign Affairs, HE Dr. Bernard Bot. 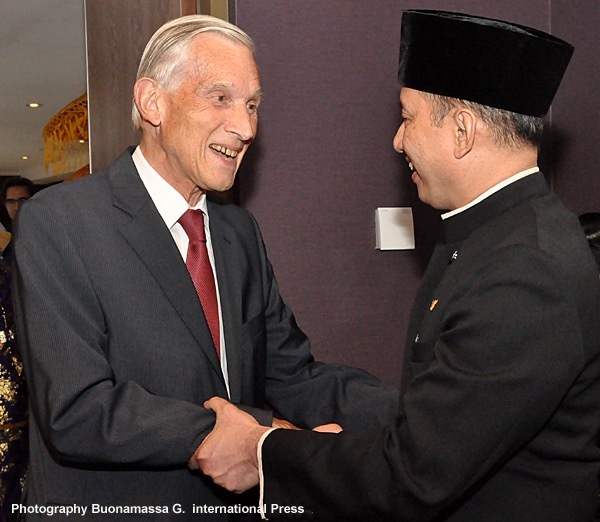 HE Dr. Bernard Bot congratulates Mr. Wahyutomo. During his speech, Mr. Wahyutomo also explained the expanding Indonesian–Netherlands cooperation. ‘Bilateral trade in 2014 almost doubled compared to that of 2004, it almost reached $5 billion in 2014. An impressive record was achieved in the field of Dutch investment in our country when in 2014 it reached a level 49 times higher than that of eight years earlier. The Dutch investment is among the top 10 foreign investors in Indonesia’, explained Wahyutomo. 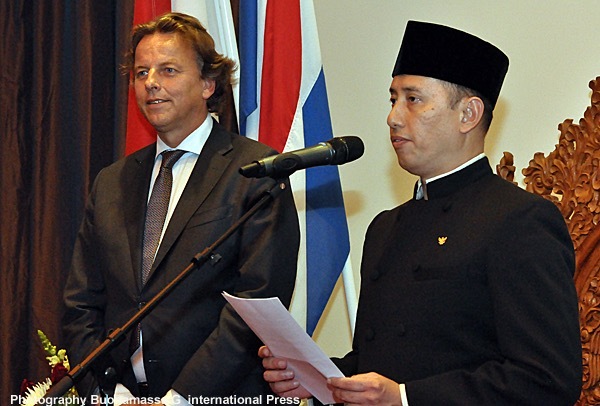 HE Bert Koenders and Minister Wahyutomo. Meanwhile, the Dutch Foreign Minister Bert Koenders also suggested similar views. He started his remarks by extending his congratulation to Indonesian President Joko Widodo and all Indonesian peoples for the 70th Anniversary of the independence of Indonesia. Furthermore Minister Koenders also praised Indonesia for its positive role and impressive developments in economy, regional and international politics, democracy, and other respected areas.